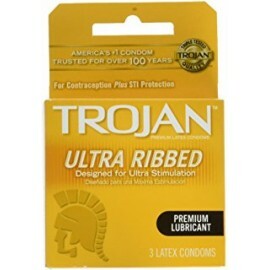 Trojan Ultra Ribbed Condoms are specially designed by considering ultra stimulation. Deeper ribs on outer surface increase stimulation. These condoms are made from high quality latex which help reduce the risk. Silky smooth lubricant is provided for your extra comfort and sensitivity. Reservoir at the end is provided for extra safety.